This totebag accidentally gives a shoutout to Hitler. Whoops! A $12.99 tote bag is causing some drama on the Internet. Remember The Dress and all the havok it wreaked? 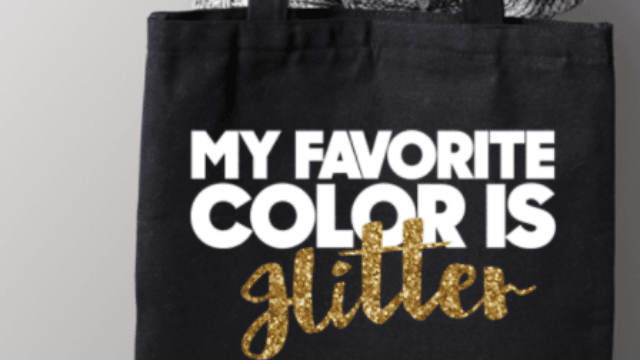 This BelleChic bag is like that, except some people read it and see "my favorite color is glitter." Others read it and see "my favorite color is Hitler." Twitter was quick to pile on the company, who had to address the typeface accusations. A lot of WWII puns ensued. Matt Molen, Chief Marketing Officer for BelleChic, spoke to Allure and confirmed that the bag has been redesigned with a new, more clear font. "While I realize that most of the social media buzz and commentary has been tongue-in cheek, the type of abhorrent sentiment conveyed as part of the misinterpretation absolutely does not align with our company values, nor is it something we would ever want to encourage or support," said Molen. Sorry, craft-loving Nazis. The old design is now retired.